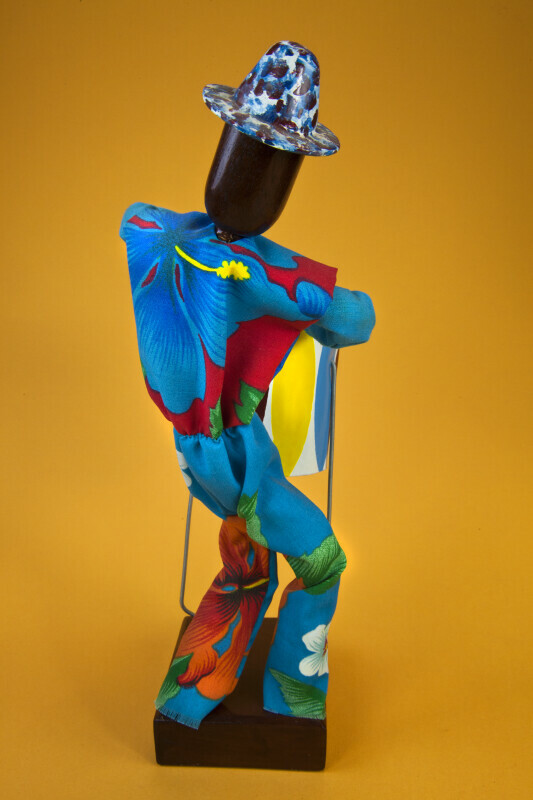 The back view of the Barbadian drummer shows his bright colored clothing, which is typical of the Caribbean. He is wearing a hat that is made from paper mache. This figure stands 10 inches (25 cm) tall.